There is hardly anyone more loyal than sports fans and that is why tickets for sporting events are sold in such big numbers. If you are a sports fan yourself from Orlando, then get ready for an action packed season. Sporting events like Monster Jam World Finals, Orlando City SC vs. LA Galaxy and 2019 Camping World Kickoff: Florida Gators vs. Miami Hurricanes will take place in Orlando this year and the excitement level is high among fans right now. You can now get your sports tickets at very good prices from our website. Watch sporting events in Orlando by getting 100% authentic tickets from our website. How much are Monster Jam Orlando Tickets? There are different prices for different seats. If you plan on watching your favorite sporting event live, then book your Monster Jam Orlando tickets now. Different sporting events like Monster Jam World Finals, Orlando City SC vs. LA Galaxy and 2019 Camping World Kickoff: Florida Gators vs. Miami Hurricanes among others will be held in Orlando at Camping World Stadium all through the year. Get your tickets now! Apart from Monster Jam, other sporting events like NBA Eastern Conference First Round: Orlando Magic vs. Toronto Raptors - Home Game 3, Series Game 6 (If Necessary), NBA Eastern Conference Semifinals: Orlando Magic vs. TBD - Home Game 1 (Date: TBD - If Necessary) and Orlando City SC vs. FC Dallas will also take place in Orlando this year. Get ready to be a part of an action packed season. The average Monster Jam Orlando tickets at Orlando will cost you between $143 and $465, if you are looking for the cheapest seats then catch the event being held on 10/05/2019 for only $143. 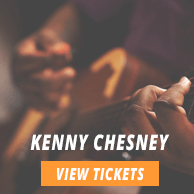 The average ticket will be at its highest of $465, on 10/05/2019. 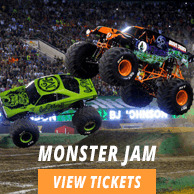 Minimum get in price is for Monster Jam Orlando tickets at Orlando is $33 for the event being held on 10/05/2019, there are certain dates that have a much higher get in price, for instance the cheapest seats on 10/05/2019, will set you back $213.